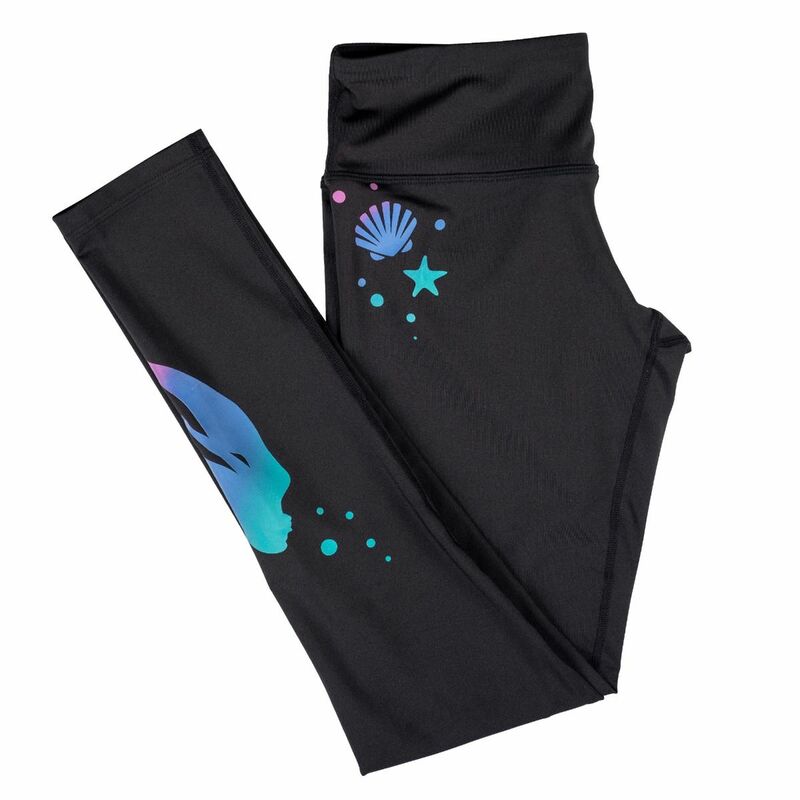 Stretchy, stylish, and super soft—these black leggings featuring a multicolored mermaid ombre print are just what you need for your next yoga session! Includes a hidden waist pocket for essentials. 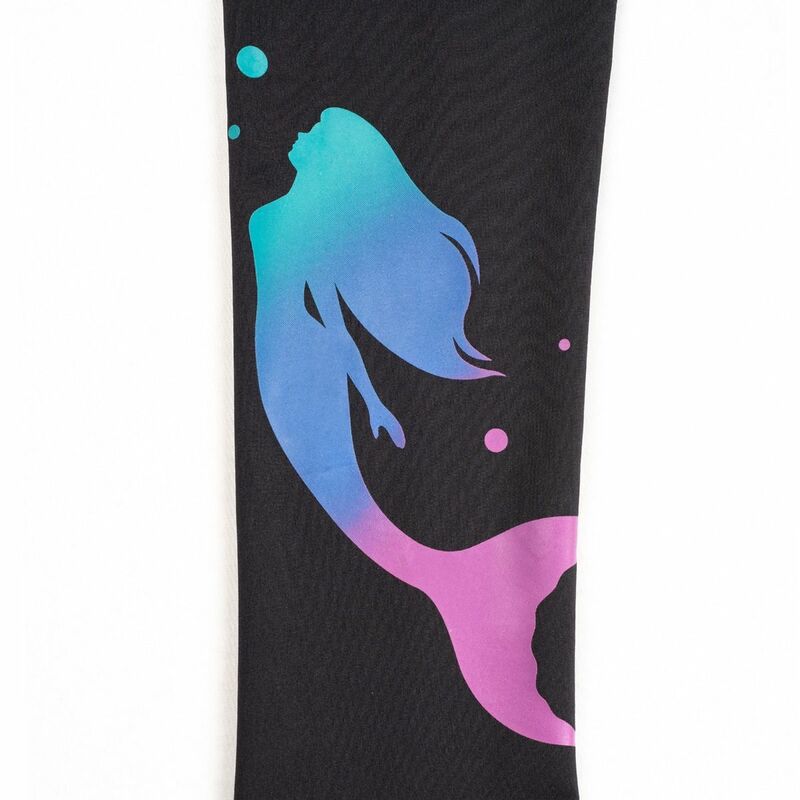 Because all-black leggings are a bit too boring, you need this mermaid version adorned with ocean-themed designs at the hip and ankle in a multicolored ombre pattern! Available in sizes for kids and adults, these mermaid leggings show your mermaid-loving self in a tastefully subtle way so you can easily pair them with any solid-colored top. Just imagine how comfortable your next yoga session will be with these slimming black leggings upon your land legs!